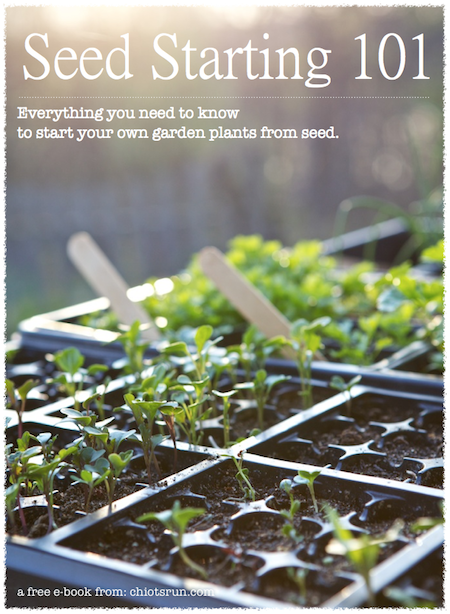 When it comes to edible gardening, one area I always felt like I struggled a bit was succession planting. Sometimes I simply forgot to sow the additional seeds, other times my various sowings matured at the same time. Over the past few years, I noticed that it’s starting to become second nature to me and I’ve figured out a few things to make it work for me. One of the things I learned was that it’s not always a good idea to start something “every two weeks” as the gardening books tell you. If the soil and the temperature is cooler, things grow more slowly and sometimes the later planting will catch up to the early one. Starting additional planting in flats indoors also makes them grow more quickly than those planted outside. If your first planting is just being planted in the garden, transplant shock and cooler temperatures can slow growth rate allowing the indoor seedlings catch up. 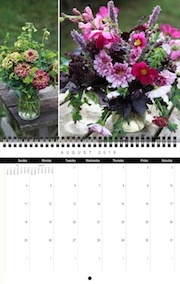 Perhaps this is only something that affect us northern gardeners, but after a few years I find that a three or four week schedule is often better than the two weeks most normally recommended. It also makes it easier to manage because I’m not doing it as often. It’s nice to be able to have fresh lettuce throughout spring/summer/fall, which is the main reason I have been trying to improve my success in this area. Do you plant in succession to have a longer growing season? Do you have any great tips to share? Is this an area you struggle? I try to plant another batch of carrots in July, for winter eating, and make an attempt to succession plant lettuce, spinach, and broccoli, not always successfully. I often harvest a patch of lettuce a lot longer than 2 weeks too, so the next patch gets overgrown. It probably depends on your usage I suppose! This year I’m trying 6-8 weeks for a second round of cabbage, since I have too many ready all at once. Definitely not just a northern phenomenon. I have the same issue in coastal Texas. In fact, I thought that whole “plant every two weeks” thing must be something that worked only in the north since most gardening books are not written for the south and it clearly wasn’t working here! Good to know that it works nowhere since we are planning to move to the northeast in a few years and my 25 years of gardening in the south is going to be not so helpful. I try every year to improve…I agree that the suggestion of 2 week intervals doesn’t work for me in zone 7 either. This year I seeded late which was actually a blessing because that huge snowstorm was wind and cold (teens) for us. I’ll use the lettuces and spinach as cut-and-come-again greens and inter-plant if needed as they bolt/wither whatever. I’m determined to go with the flow and not push my agenda for once!